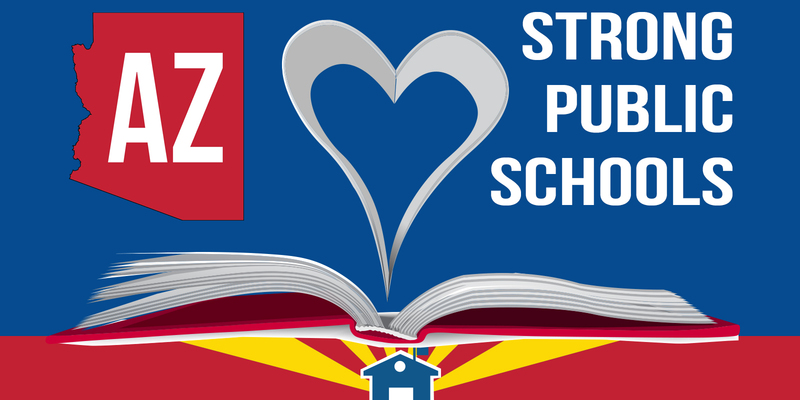 Phoenix, Ariz.— AZ Schools Now is pleased that Governor Ducey is responding to the thousands of parents, teachers, and education advocates who have been calling for action over the last few years to address our state’s education funding crisis. In January, prior to the start of the legislative session, our coalition presented a menu of investment options the Legislature could enact that would generate hundreds of millions of dollars for Arizona’s K-12 public schools. There were no funding gimmicks, reshuffling of the deck with current dollars, or one-time sweeps of funds from other agencies. Are the pay raises meaningful and permanent, and do they reach educators and support staff? Are the investments equitable with dollars reaching all schools? Is the plan sustainable? Will the budget measures used make it easier or more difficult to fund public schools in the future? Are there tax cuts or an expansion of tax credits that will decease future revenues? Will any budget cuts made hurt children or other Arizona priorities? Will any of our tax dollars be diverted to unaccountable private schools? Our students and our state’s economic future have been harmed by inaction and band-aid approaches. It is critical our leaders present real and lasting investments. Our coalition will not support anything less. For a link to our Legislative Call to Action with a menu of investment options, click here.